38 - $133.99 Only 3 left! 40 - $133.99 Only 1 left! 42 - $133.99 Only 4 left! 44 - $133.99 Only 6 left! 46 - $107.99 Only 8 left! You know who really takes the holiday season on like a boss? Obviously, it's the top cheese Santa Claus. He runs that biz, and does whatever it takes to get those presents out to children worldwide. But if you'd like to run your holiday party through and through, you won't need to have any sleigh driving swagger to show up and steal the scene. 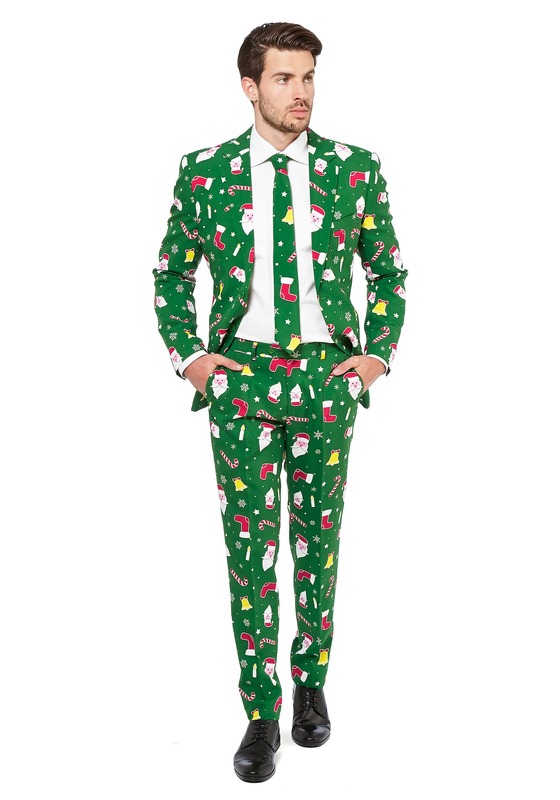 All you're going to need is this signature Opposuits suit, cause it's going to have you partying like a Santaboss! Distinctive styling is what makes Opposuits stand out, and with bold all-over prints and modern suit styling, their suits have taken the world by storm. And now you can have an style upgrade for your Christmas party when you get this suit for the season! 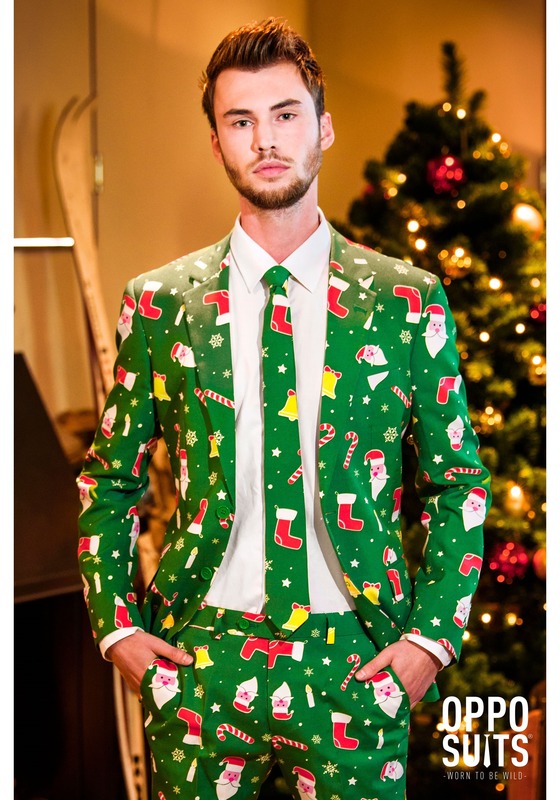 Equally appropriate for the company holiday party or an ugly sweater party, this suit features the classic X-Mas iconography like Santa faces, candy canes, and stockings. It's on a bold green that bears resemblance to wrapping paper, and when you're all done up in this two piece, the folks around you might think that you're a gift all wrapped up. (We like the idea of that!) 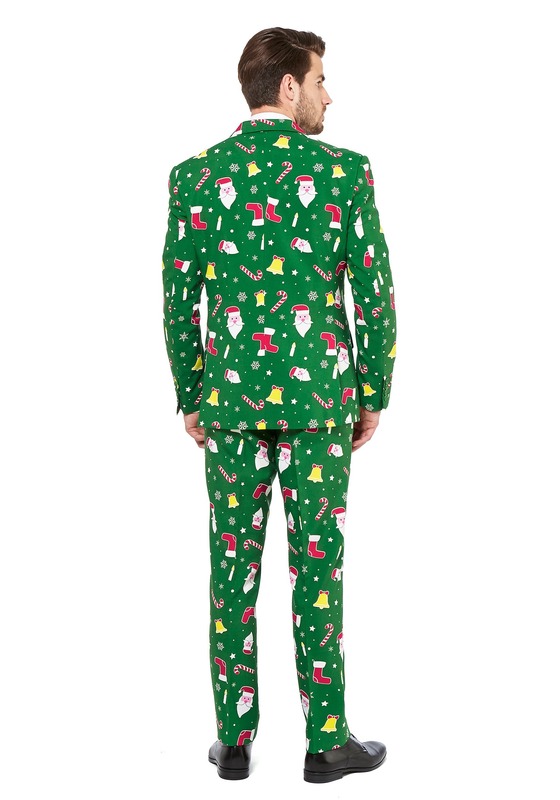 Pick up this signature suit for your holiday fun, and get ready to run the show like a Santaboss.